As astronomers have gained the ability gaze at far-off exoplanets, they have started to realize our solar system is more unique than they could have imagined. Many other alien’ systems have ‘super-Earths’ and other planets in tight orbits close to their star, but ours does not. And now we might know why. According to a team of scientists at UC Santa Cruz, Jupiter either destroyed other planets during early formation period or chase them out of our solar system in order to allow Earth take root and support life. This is based on research conducted as well as reference to other supporting studies. The results of the study published in the Proceedings of the National Academy of Sciences could explain why our solar system is so differently constituted compared with the hundreds of other planetary systems astronomers have been discovering orbiting distant stars. In Solar System 1.0, the region closest to the sun was occupied by numerous planets with masses several times bigger than that of Earth. 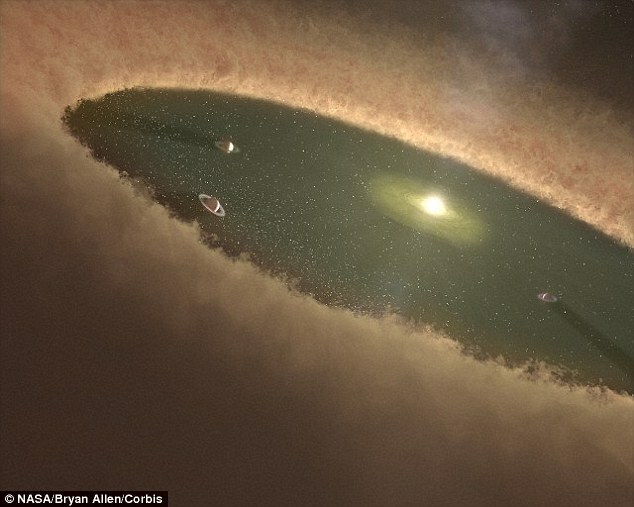 There were also planetesimals, “planetary building blocks” that formed within the first million years after the birth of the sun. Scientists have presented a new theory for the solar system. They say early in its life, Jupiter swung through the inner planets. But Jupiter was restless, according to a scenario known as the “Grand Tack.” In this version of events, Jupiter was swept up by the currents of gas that surrounded the young sun and drifted toward the center of the solar system. Jupiter, however, was too big to travel solo. All manner of smaller objects would have been dragged along too. With so many bodies in motion, there would have been a lot of crashes. One implication of these new findings is that life as it is known on Earth might be rarer in the universe than previously thought. “Even with a relatively low-mass atmosphere, Venus is not hospitable to life as we know it. One can only imagine the kinds of extreme environments that are typical of extrasolar planets,” Batygin said. Another potential consequence of these findings is that “Jupiter-like planets and populations of super-Earths should be mutually exclusive, and as a rule will not be hosted by the same stars,” Batygin said. As planet hunters identify additional systems that harbor gas giants, Batygin and Laughlin will have more data against which they can check their hypothesis – to see just how often other migrating giant planets set off collisional cascades in their planetary systems, sending primordial super-Earths into their host stars.